Come back soon for more episodes of The Backslackers. Subscribe to our YouTube channel and never miss an episode. Follow us on Twitter,, Facebook, Instagram, and Pinterest. Join our mailing list and get videos and posts sent right to your inbox. Think you know how to pack light for long-term travel? Think again. 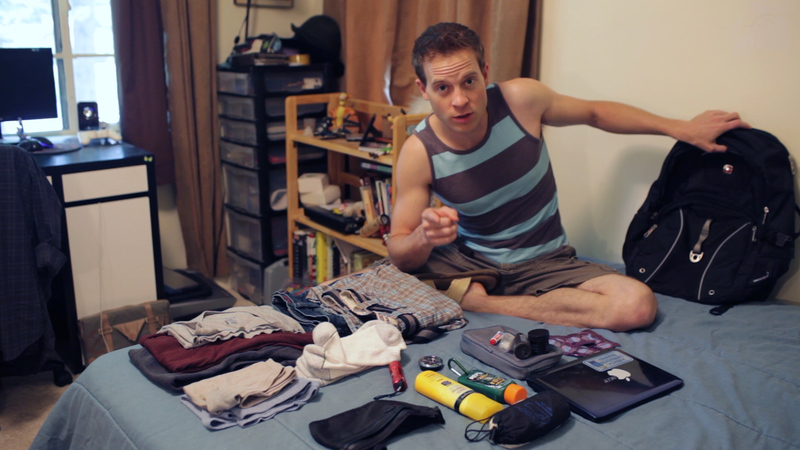 In The Backslackers’ first v-log, How to Pack Light For Your ‘Round the World Trip, Zach shows you what you need, and what you don’t need, to pack for a year of traveling around the world. It’s probably less than you think.